Optical means are the main techniques for space debris observations. Wide field of view telescopes play important roles and exhibit specially high efficiency in space debris surveys and catalogue maintenance. However, due to the defects of the extreme optical design of the telescope, as well as the errors caused by non-standard photometric systems, challenges arise for the light curve acquisition and precise photometry. As the rise of the demand of rotational characteristics investigations for space debris and active debris removal, measuring the brightness variations of space debris with high accuracy is crucial and important. Under this circumstance, an improved method which measures the light curves of space debris precisely for wide field of view telescopes is proposed. In our pipeline the background stellar is optimally selected, then the local reference frame is built through consecutive frames, and the brightness variation of the object is obtained directly based on the ratio of the intensity itself and the one of reference star. Trial observations are performed and a number of raw CCD images is utilized to test the method. 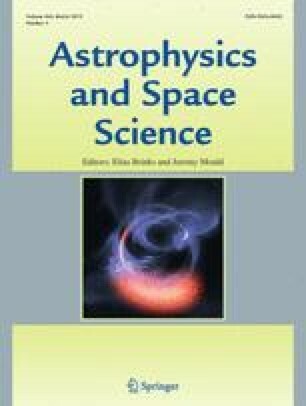 It is demonstrated that the proposed method exhibits a better accuracy and robustness than the standard photometric technique on measuring the light curves of space debris. It provides a new solution for precise measurement of light curves with wide field of view sensors, and deserves wide applications in researches of light curves and rotational characteristics for space debris. Our work was funded by the National Natural Science Foundation of China (Grant Nos. 11533010, 11703096 and U1631133), the Youth Innovation Promotion Association of CAS (2015252), and the Natural Science Foundation of Jiangsu Province (Grant No. BK20181515 and BK20171110).